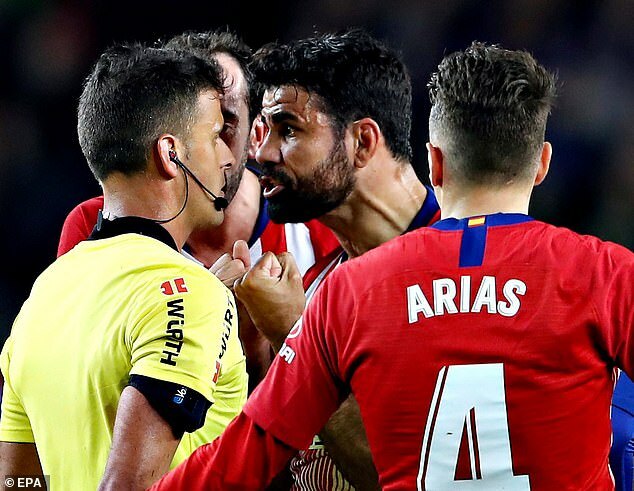 Costa was given his marching orders at the Nou Camp on Saturday night after shouting ‘I s*** on you w**** mother’ at referee Gil Manzano. 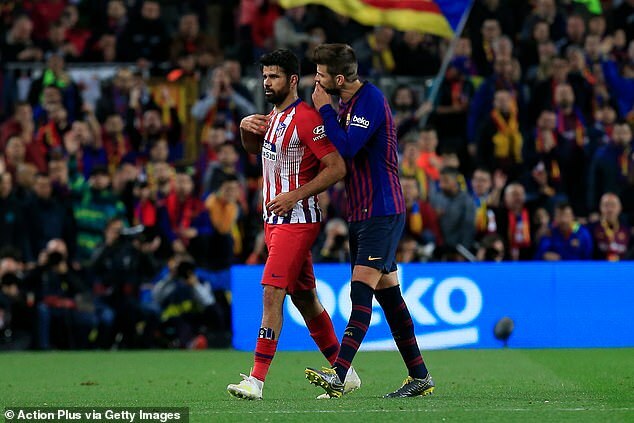 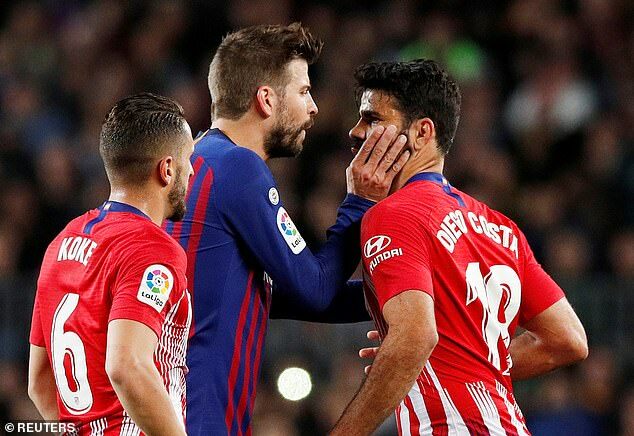 Pique was pictured having a word in the Spain striker’s ear as he walked towards the tunnel, with some suggesting he was trying to wind up Costa. 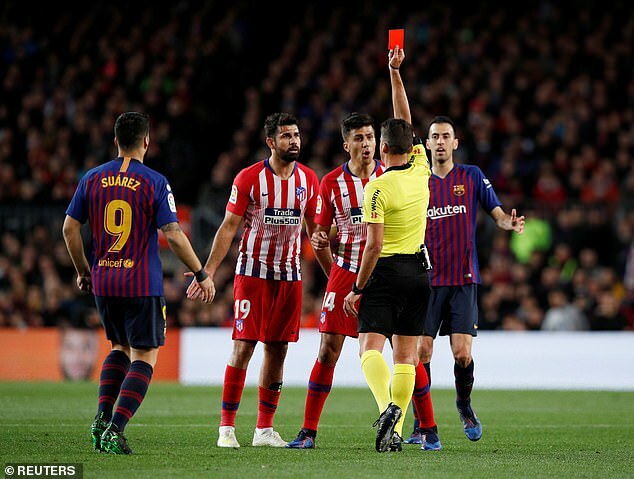 Atletico put up a fight with 10 men after the 30-year-old was dismissed in the first half, but they could not prevent Ernesto Valverde’s men taking another huge step towards the title.